How can you measure estimation? How can you improve estimation? Estimation is one of our most important neuropsychological functions, as many of our daily activities depend on our ability to estimate speed, distance, or time. Estimation could be thought of as the mental process that allows us to predict or create a response when there is no other solution. Estimation allows us to predict the future location of an object based on its current speed, distance, and time. The brain processes the information that your eyes receive, and determines what will happen and how to react quickly and when necessary. We use our estimation ability in perceptive thought processes. Once the brain has decided what information from your surroundings it's going to process, it evaluates and estimates its distance, speed, etc. In order to accurately process the information you receive and make an estimation, you need to use past experiences as a reference for what might happen in that specific situation. Using real-life previous situations will help ensure that you make an informed estimation about what might happen. This skill is considered to be one of the "microstrategies" that is used in learning processes, which is one of the reasons why it is important from a cognitive standpoint. Distance Estimation: Distance estimation is the ability to estimate the future location of an object based on its current distance, and is the ability that makes it possible for us to carry out everyday activities without bumping into people or things. Speed Estimation: Speed estimation is the ability to estimate the future location of an object based on its current speed. This is what makes it possible to move through life and avoid obstacles and accidents. Movement Estimation: The ability to anticipate an object's movement. Time Estimation: The ability to calculate the amount of time there is between two events. Driving requires you to estimate the speed of traffic, distance between cars, time it will take you to stop, etc. Being able to make safe decisions quickly requires estimation. Making any kind of judgement about an amount of something, like how much the bag of rice weighs, or how many apples you will need to reach 1 lb at the store. Estimation is essential to playing sports. You need to be able to estimate how fast a ball is coming at you, how far away it is, how long it'll take to reach you, how heavy it is, etc. When walking on a busy street, you need to be able to estimate the distance between the people around you. If you're planning on passing someone in front of you, you need to be able to calculate how much time you have to run ahead before someone will run into you. Multiple mental disorders are characterized by an alteration or dysfunction of the estimation ability. Poor estimation may be associated with damage to the frontal lobe. Patients who have suffered a cranial trauma, brain tumor, aneurysm, MS, encephalitis, Korsavoff syndrome, anxiety, depression, etc. have been shown to have poor estimation abilities. Alcohol, cannabis, and other drugs may affect your ability to correctly estimate speed, time, and distance, which is one of the reasons why driving under the influence of many drugs can be dangerous or even life-threatening. We use estimation in a number of different activities, like when carrying out motor-perceptive tasks. Knowing how one's estimation ability levels up to other's may be important in some medical fields, as well as professional fields like drivers, air traffic controllers, athletes, etc. With a complete neuropsychological assessment, you'll be able to quickly and carefully measure a wide range of cognitive skills, like estimation, short-term memory, planning, etc. 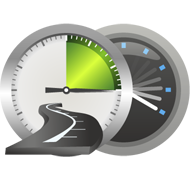 CogniFit uses a number of validated tasks to assess the user's ability to estimate speed, distance, time, etc. The Estimation I Test helps assess how the user makes predictions and estimations about certain aspects in each task, like speed, distance, time, size, etc. The user will have to carefully track the stimulus on the screen to get the best score possible. The Estimation II Test measures the user's estimation ability by presenting auditory information that the user must remember and later repeat. This task measures estimation and short-term memory. The user should do the task in a quiet area, away from external noise or distractions. The Estimation III Test Requires the user to predict or anticipate the location and distance between the figures on the screen. In this task, we will look at the user's shape recognition (spatial vision), as well as their ability to perceive distance and the object size from a 3D perspective. Like with many other cognitive abilities, CogniFit has the tools to help you train and improve your ability to make estimations. The clinical cognitive stimulation exercises from CogniFit allows you to improve brain functions like memory, planning, and estimation. Studying neuroplasticity has shown us that the more we use a specific neural circuit, the stronger it gets. This is the basis of CogniFit's training program, and when applied to the neural circuits used in estimation, we are able to work to train and improve our ability to predict and estimate future events and locations. The cognitive stimulation program from CogniFit was created by a team of scientists, neurologists, and cognitive psychologists that study synaptic plasticity and neurogenesis. The patented cognitive stimulation system precisely assesses estimation, planning, memory, and a wide range of other fundamental cognitive skills. With these results, the program automatically suggests a complete brain training regimen to focus on the user's weakest skills. Consistent and diligent training is the key to stimulating and improving the cognitive processes related to estimation. CogniFit is used by the medical and science community worldwide. All you need is 15 minutes a day, 2-3 times a week. This program is available online and through Android and Apple devices. The exercises are engaging and interactive, making brain training fun. After each session, you will see a detailed graph with your cognitive progress.